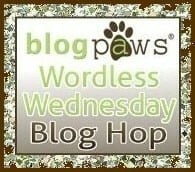 Wordless Wednesday: Who did your cat vote for? Lenny cast his vote yesterday. He’s even got the tag to proof it. 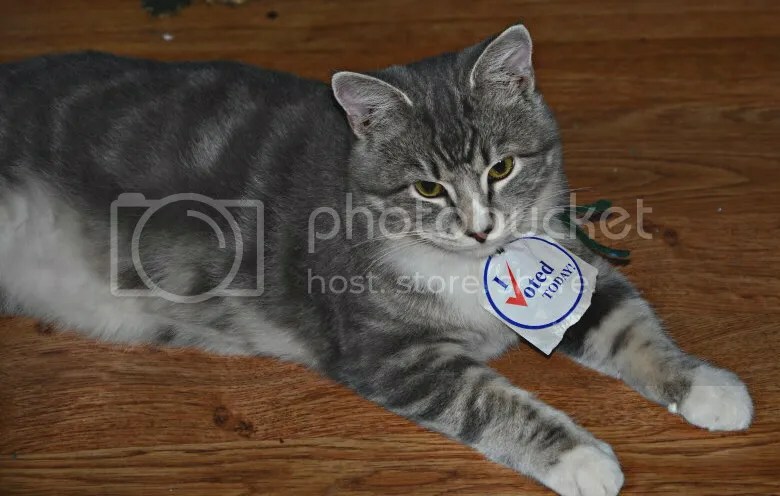 If your cat were to vote, who do you think he would have supported? What does your cat think about the election results? Please weigh in with your paw-opinions. My cats voted for Obama–they were a little afraid of getting strapped to the roof of Air Force One if Romney got elected. My corgi voted for Romney. Our human voted for us too and has her sticker to proVe it! lol! I voted – for me! I mean, who else deserved my vote? 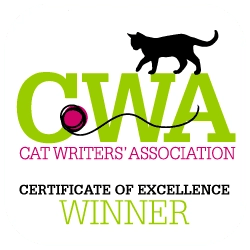 BTW Obama gave Cody a personal thank you for voting for him…see our post above…..
so many of you are on the same wavelength….a number of bloggers showcased the cat and their sticker…love it! BTW WE voted Obama…….my husband (also named LENNY) voted Obama as well! Kudos to all us cat people that showcased the cat with a I voted sticker. 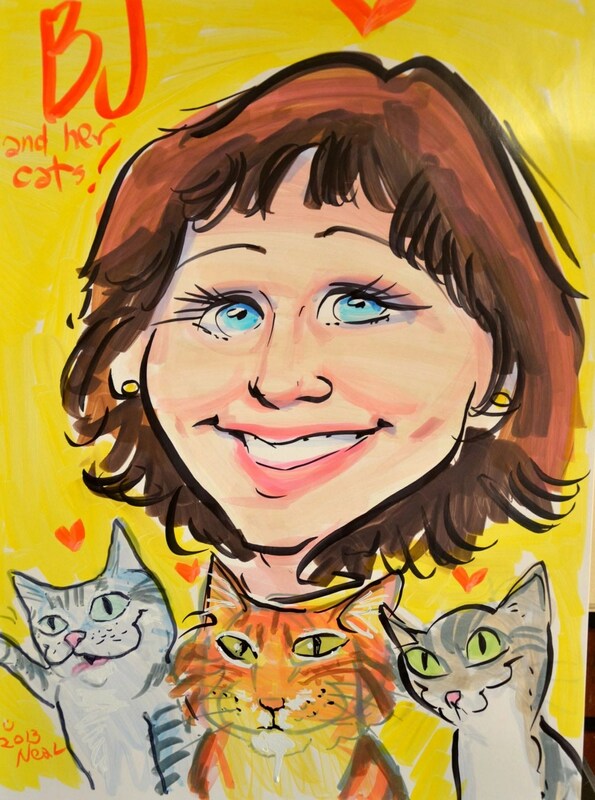 All of those beautiful kitties were indeed making a statement. 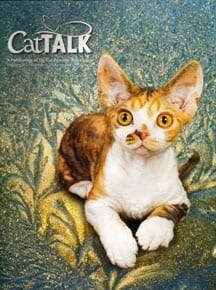 Paws up to the feline world and cats’ rights. My cats are all Democats. My eldest, my three-legged black cat Ateret, dressed up in her donkey t-shirt for the occasion. We were all fired up and ready to go. We’re happy Lenny voted. It’s very important. What’d make me happy is if I could deduct my cats. But, realistically, I think it’s far more likely that perhaps one day we’ll get to deduct some of their vet bills. Their’s always hope, as last night proved.